In the final months of two mostly unmemorable terms in office, Rhode Island Governor Donald Carcieri boasted about his little state’s big splash - stealing former Red Sox pitcher Curt Schilling and his nascent video game company from Massachusetts. The precise cause of 38 Studios’ current trouble is unclear; its latest negotiations with the economic development agency are confidential. But what is clear is that Schilling steered the company through a feverish hiring spree and into a high pay-off - but high-risk - realm of the gaming industry that requires enormous start-up money. Schilling has long been interested in gaming. As a baseball player, he collaborated on “massively multiplayer online’’ games - called MMOs - with Sony Online Entertainment. His office in Maynard was filled with decorative swords, a sign of the fantasy world his new company planned to create. From its infancy, 38 Studios imagined it would elbow into a multibillion-dollar market filled with games such as Blizzard Entertainment’s World of Warcraft, which boasts millions of fans. Schilling had originally hoped to launch the game’s first product in 2010. But he immediately hit trouble raising money. He shocked venture capitalists with an audacious pitch for $48 million - far more than gaming companies typically receive in an initial round of funding. In addition, Schilling was reportedly reluctant to give up much stock in exchange for funding. 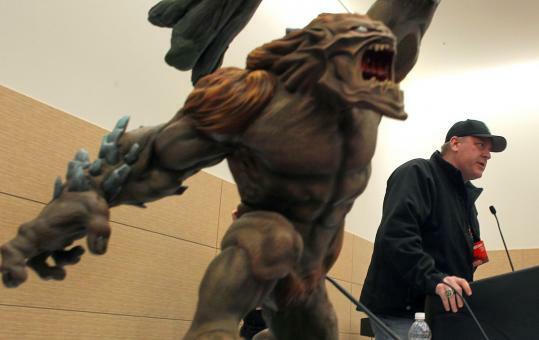 Flybridge Capital Partners and several other Boston area firms passed on 38 Studios. Mark Arsenault can be reached at marsenault@globe.com. Todd Wallack can be reached at twallack@globe.com.